Ezzedin Hamouda was born in Egypt 23 November 1919. He received his Deploma with degree of Exellency and Honor in year 1945 from Faculty of Fine Arts in Egypt. Ezzedin Hamouda studied on government scholarship at the Higher School of Fine Arts San Fernando, Madrid where he completed his study and received his Diploma of Professor Drawing in year 1952. He joined the staff of professors, had been teaching and was appointed Chairman of the Department Of Paintings in The Fine Arts Faculty in Cairo - Egypt - Middle East from year 1974 till 1976. Ezzedin Hamouda was appointed to represent the Egyptian government in the sixth international art critics conference held in Napoli and Palrmo in Italy 1957. He was also appointed by the Egyptian government to supervise the Egyptian contemporary art delegation for the exhibition displayed in the Arnst Muesum held in Budapest year 1963. Ezzedin Hamouda was chosen by the Egyptian government to be the cultural counselor of the Egyptian embassy in Mexico city year 1964. He was a member of the High Council of Fine Arts and Social Sience delegation from 1966 till 1976. 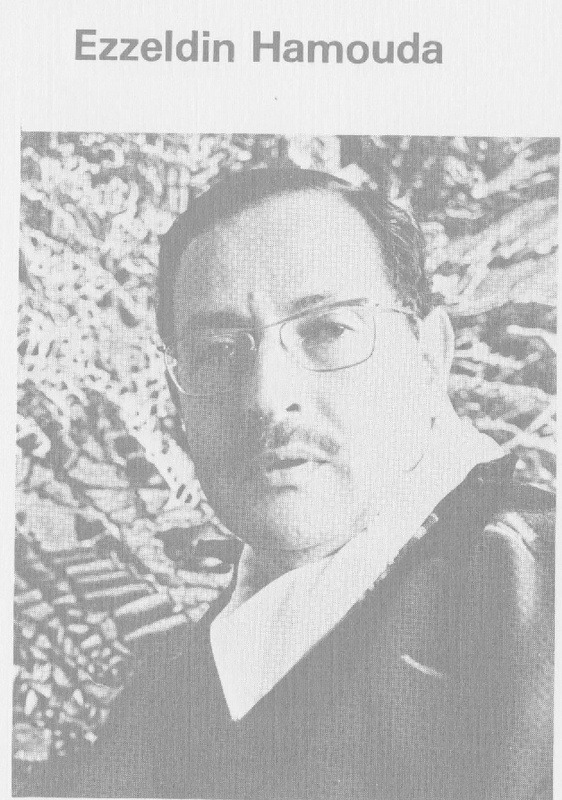 Ezzedin Hamouda was chosen by the Egyptian government to be the cultural counselor of the Egyptian embassy and director of The Islamic Institute in Madrid from 1969 till 1972, during this period he was a member in the Egyptian delegation who made the first Spanish-Egyptian Cultural Agreement executive program in 1971. His works had been featured in numeros Exhibitions locally and internationally and many times he was honored with prizes. His modern art oil paintings had been displayed abroad in Spain, Austria ,Italy ,France , Mexico and The United States. Ezzedin Hamouda who was a realist artist used to paint in a realistic style, he painted many landscapes and portraits oil paintings, however during his last years he also painted several abstract paintings in oil.